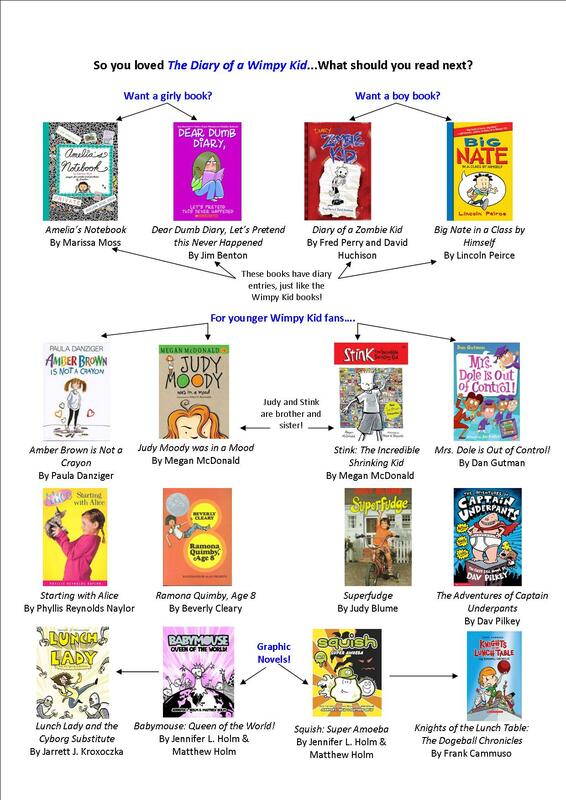 …So I made one more readers chart for our juvenile department and wanted to share it here. 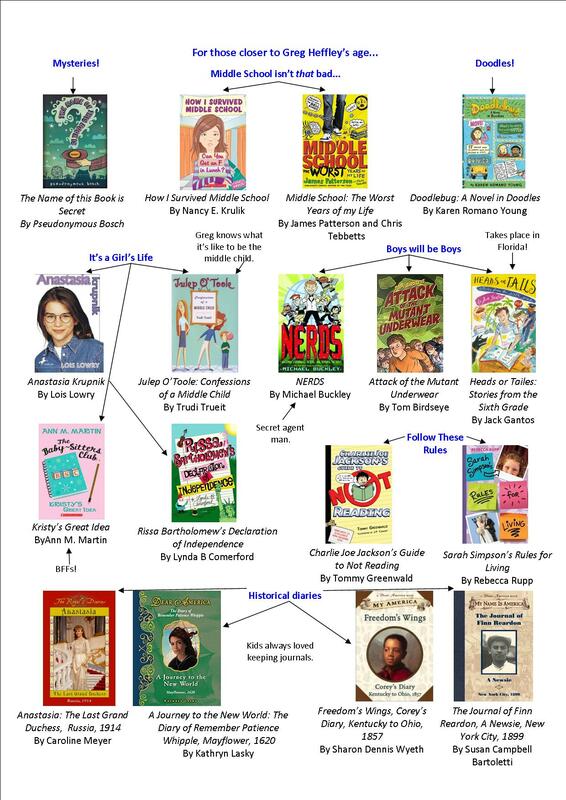 This time it’s for the every-popular The Diary of a Wimpy Kid series. Enjoy! This is amazing. I have a whole slew of books to buy my nephew now. Thank you! Thanks for sharing – very helpful!